Most pet parents know what ticks are. Nevertheless, you may not know about the hidden facts all about ticks. Let us go little deep inside and find out more details about ticks and how badly they affect pet’s life. Like most arachnids, ticks evolve through a four-step life cycle. The first stage is an egg and progressing through larva, nymph, and an adult. All three later stages need blood as meal to progress to the next phase of their life. However, the larva and nymph stages are more likely to feed on rodents and other small creatures and are not commonly found on pets. Whereas, the adult stage prefers larger hosts, and it is these adult ticks that mostly feed on humans and pets. During their search for the potential host for feeding and on which they hitch a ride, ticks present a fascinating behavior known as ‘questing’. First, a tick uses its skills to sense motion and its unique sense of smell to locate the approach of a likely host. It even notices the subtle nearby changes in carbon dioxide levels from the host’s breath. Once they smell a close encounter, the tick climbs to the edge of the grass or the plant and gets ready with its front legs stretched out. When contact is made, the tick simply crawls onto its new unsuspecting host. From this, it is obvious that why most pets get tick infestation when they roam about into the deep bushy, grassy and woody areas. Therefore, it’s better to avoid taking your furry animals into these areas during the peak tick season. Suppose, exposure is unavoidable then it is better to keep your pooch on tick repellent or flea and tick preventives. Moreover, constantly, have eyes on your pet whether he has tick infestation or not. Ticks crawling on people’s head are the most common scenario, and this fact can bring the false conclusion that ticks can fly high or jump from height on pets and humans to attack. These assumptions are baseless. Ticks are only capable of steady and slow crawling. A tick found on your head has crawled onto the head from all over your body, sometimes searching an area of thin skin. Overall, no jumping is involved. 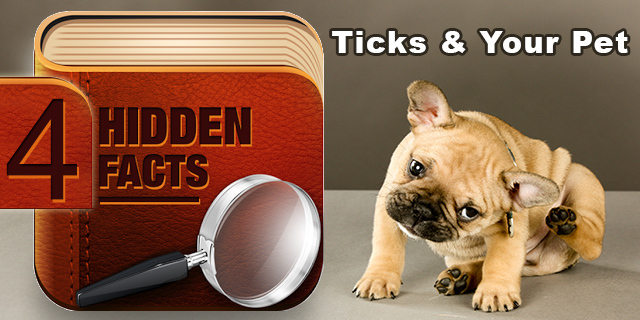 It’s not a hidden secret that ticks cause various harmful diseases in pets. Nevertheless, how does this all process happens let’s find out. It’s not the bite of the tick that makes pet ill, but the pathogens that are transferred to host body through the bite. 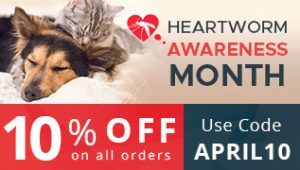 Some common tick-infested pet diseases are Lyme disease, ehrlichiosis, Rocky Mountain spotted fever, and anaplasmosis. Treatment usually includes antibiotics. To kill and prevent ticks K9 Advantix and other tick preventives are quite popular. Any tick on your pet brings with it a couple of diseases. Just remove those nasty ticks when you find them on your pet body. Experts claim that a tick should be removed very meticulously by pulling off in a straight, steady motion, pulling as close as possible to the head of the tick. This prevents you from leaving behind any portion of the tick’s head or jaws, which can lead to irritation and infection. This also controls further transmission of disease that could occur if the body of the tick is squeezed while still attached. Moreover, tick medications available in market such as Frontline Plus and many others can help you protect your pets from flea infestations. No doubt, ticks are dangerous for your pets but by taking proper prevention measures you can definitely stop them from attacking your pets.